The prices of iron ore rose by Rs 600-700 a tonne in the rest of India, but in Karnataka the prices have dropped by 15 per cent. Supply chain disruption in Brazil led to a 30 per cent increase in the global iron ore price. As far as Karnataka is concerned, miners have alleged a price drop due to a poor offtake from JSW Steel and cap on exports. JSW Steel, however, denied the allegation and said differential pricing and poor quality were the main reasons for a price drop in the state. According to a CRISIL report, global iron ore prices rose to $90 a tonne from $69 a tonne in December 2018 due to issues in Brazil. It should be noted that China imports 1.06 billion tonnes of iron ore, of which 20-25 per cent is from Brazil. The disruption led to a price increase. 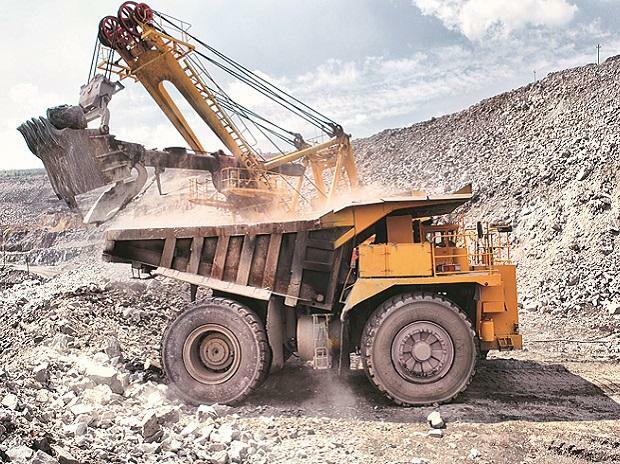 “Elevated global prices, the expectation of a further depreciation in the value of the rupee, and modestly healthy demand growth prospects of 5.5-6.5 per cent in the domestic steel industry are expected to provide reasonable room for domestic miners to enjoy high prices through calendar year 2019, especially in the first half,” said CRISIL. Basant Poddar, member, Federation of Indian Mineral Industries, South, claimed that there had been no price increase in Karnataka, as they had one dominant buyer (JSW Steel). The price of ore in February 2019 was down 15 per cent compared to the price prevailed in February 2018. Seshagiri Rao, JMD and Group CFO for JSW Steel, said the issue had been differential pricing between Karanataka and other markets, and then the poor quality. He noted that Karnataka’s largest miner, for example, was charging Rs 3,335 a tonne, while iron ore in Chattisgarh was available at Rs 2,660 per tonne without taxes. Price difference was Rs 675. After a series of discussions, the differential prices were removed, but again introduced in December. The prices globally started falling up to February. The Chhattisgarh prices dropped to Rs 2,560 in January from Rs 2,860 in December and to Rs 2360 on February 1, 2019. On February 22, it was increased to Rs 2,760. On the same day, the Karnataka price was Rs 3020. The price of iron ore in Karnataka as on April 1, 2018, was Rs 3,335. Today that is Rs 3,020, and that means the Karnataka price has not gone up. “This is what they are trying to mislead. Compared to the Chhattisgarh prices, they are charging a premium,” said Rao. Karnataka prices should not be compared for April 1, 2018, because there was a Rs 670 differential at that time. Still it enjoys a premium if compared to Chhattisgarh, he added. The other issue is quality. While the local miners claim nearly 14 million tonnes of iron ore has piled up as inventory since JSW started importing, Rao says nearly 10 million tonnes did not come for auction because it is less than 45 per cent Fe. Of the remaining 4 million tonnes, nearly 2.5-2.7 mt is with high manganese and high alumina, so they are not able to sell at the price at which they want to. Anybody who buys this has to spend more fuel.